While a 50th anniversary is quite an event for any family, the Ukrainian Catholic Church of the Assumption and Assumption Catholic School have special cause to celebrate. 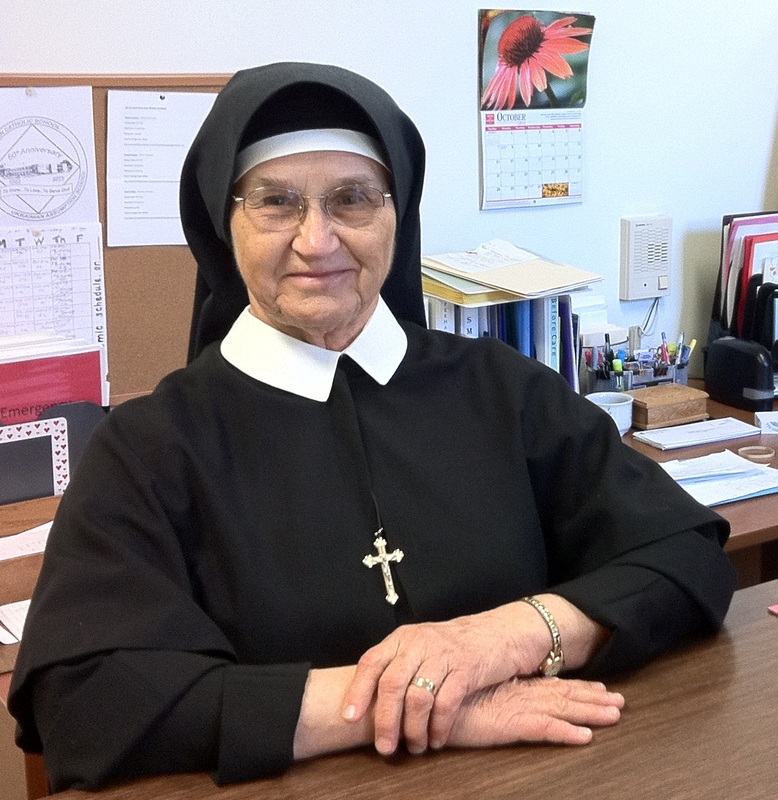 Sister Yosaphata Litvenczuk, MSMG, will commemorate fifty years of religious service at a 10:00 am Divine Liturgy. What makes this 50th Anniversary unique is that Sister has been in the same school and parish for all fifty years! Archbishop-Metropolitan Stefan Soroka will be the main celebrant at the Liturgy after which Sister will renew her religious vows. Proceeding to a celebration luncheon and program, Sr. Yosaphata and attendees will walk down the same steps that Sister did fifty years earlier when Ukrainian Assumption School first opened. Among those paying tribute will be Archbishop Emeritus Stephen Sulyk, the pastor who opened the school fifty years ago. Students and teachers, both past and present, parishioners, and friends will be on hand to reminisce and rejoice. The school’s glee club, junior drama, and chimmetteer groups will use their performing talents to honor and entertain Sr. Yosaphata. From a village in Brazil to a 21st century parish school, Sister has successfully met and overcome many challenges. Having taught most grade levels, she has also been the school’s librarian and art teacher. Currently she manages the school office including a tuition management program via computer. As vice-principal, Sr. Yosaphata’s many duties include disciplinarian, counselor, and dispenser of band-aids. Through the years, her dedication has been vital in the Ukrainian Assumption community. And, even after all these years, Sister can still navigate the school’s hallways faster than anyone else!